Having played in front of several Presidents of the United States, these House of David Bands & Orchestras were known around the globe as some of the most talented and entertaining musicians ever to walk the stage. All original House of David colony members, these self taught musicians were capable of playing numerous instruments, and eventually became world class entertainers, performing before political party national conventions, and having been visited by the likes of Joe Louis, the Marx Brothers, Jack Dempsey, Floyd Fitzsimmons, Babe Ruth along with countless other famous and not so famous people. 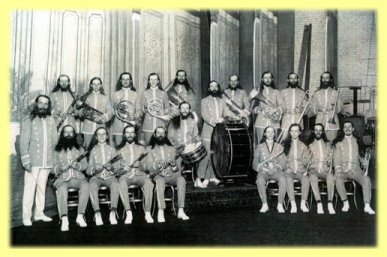 Traveling the world by train, bus, and boat, the House of David Bands were managed by two different people -- the orchestra by Manna Woodworth -- and the bands and talent shows by "Chic" Bell. 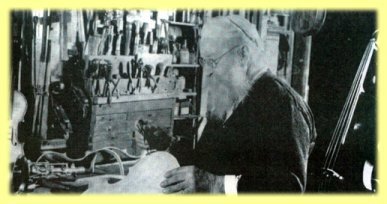 The House of David Museum seeks photographs, postcards, movies, musical instruments (made by House of David) and tapes of these famous musicians.